We propose a compartmental model for the dynamics of audience applause consisting of agents that are either silent (S) or clapping (C). The model includes two mechanisms. The first is a feedback mechanism that is parametrized by α which enhances the probability a that agents in state C influence those in state S to transition to C. Parameters α and a are simplified to ā, where ā = aα. The second is a modulating mechanism that is parametrized by β which limits the probability b that those in state C transition to S. The steady-state dynamics of the resulting equations show that three possible solutions can exist, which includes a trivial case when all agents rest at S. Since negative steady-state values are extraneous solutions, only two of these solutions exist for ā greater than a critical parameter value ā1. For β > 1, we find a second critical parameter value ā2 such that a second non-trivial non-extraneous but unstable solution exists. We confirm our results by agent-based Monte Carlo simulations. A. M. Cruz and J. Bantang. 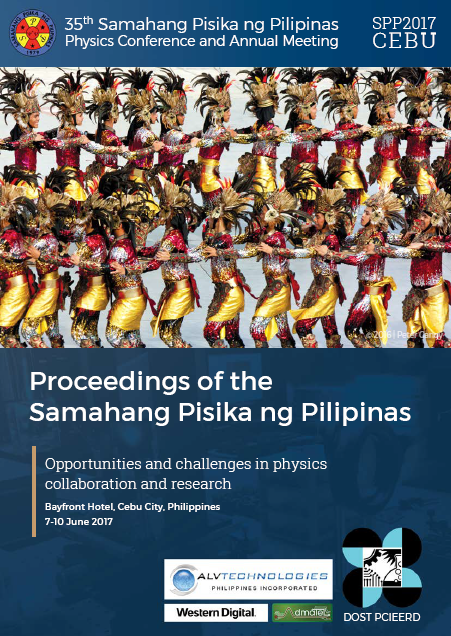 Steady-state dynamics of an audience applause model, Proceedings of the Samahang Pisika ng Pilipinas 35, SPP-2017-PB-15 (2017). URL: https://paperview.spp-online.org/proceedings/article/view/80.